On 24 March 2010, fifteen years will have elapsed since the “Shannon Mandate” was first tabled in the Conference on Disarmament (CD). That proposal for the negotiation of a ban on the production of fissile materials for nuclear weapons became the basis for programmes of work adopted by the CD in 1998 and again in 2009. But neither of those heady moments of consensus flourished. Last year’s short-lived success was the subject of comment on this blog on 14 October. Since then, the procedural stalling tactics have continued. The Conference is held hostage not only in relation to fissile material negotiations. Core issues such as nuclear disarmament in general, negative security assurances and preventing an arms race in outer space are similarly on hold. It is tempting to attribute a death wish to the Conference on Disarmament. Alternative forums or parallel processes in which real work can be undertaken on these topics, without the constraints of the CD’s rules of procedure, are now under active consideration. The need to foster a favourable atmosphere for multilateral disarmament efforts in the next few weeks in the lead-up to a major, month-long review of the Nuclear Non-Proliferation Treaty (NPT) in May this year is just one consideration driving the idea of developing an alternative forum to the Conference on Disarmament. Governments frustrated by the endless procedural wrangles in the CD have been reminded once again that the problems with the Conference’s rules of procedure are not confined to the frequency with which the consensus rule is misused. Rotating the presidency every four weeks (Rule 9) has been exposed repeatedly as an endemic weakness, eroding leadership and continuity especially where presidents are little known in the Council Chamber. The recent practice of encouraging the six presidents for the year to act collegially works only to the extent that the individuals concerned are able to participate in a sustained manner throughout the year. More worrying is the fact that, notwithstanding this weakness, the bulk of the membership seems content to have the delicate consensus-forming activities devolved almost entirely to the presidency, seldom seeking detailed accounts of the endless consultations carried out behind the scenes on their behalf. The informal Plenary on 11 February represents a new and welcome departure in this regard, narrowing the scope for a tiny minority to draw things out behind the scenes. Even greater accountability would be achieved if civil society were allowed to be present. Finally, persistence with a literal interpretation of the rule that the Conference shall establish its programme of work annually (Rule 28) is perhaps the most damning indictment of the CD’s faltering existence. Without repeating the discussion of that provision on this blog, the CD’s inability to place this requirement into context is puzzling to say the least. No international conference that wants to work has ever been prevented from doing so by its rules of procedure – such an outcome would demean everybody. If the CD’s rules cannot be amended or applied sensibly, maybe a more radical approach should be taken. Perhaps, the rule or rules in question should be made to work, rather than written off. In the case of Rule 28, let’s accept that the work programme has a limited life. Because it has only a limited life, let’s not try to invest it with complex mandates with which its working groups would be tasked. Short and simple. Let’s bring back into its rightful place Rule 19 according to which the “work of the Conference shall be conducted in plenary meetings”. If any additional arrangements are needed, e.g., subsidiary bodies, they can be agreed by the Conference (Rule 19 also). What will the plenary meetings do? Just what the members want, i.e., a focused engagement, intensifying – if engagement is sustained – into negotiations. If engagement on a given topic cannot be sustained, then obviously no instrument, binding or otherwise, will emerge. But what about continuity, given Rule 9 (see above)? As soon as continuity becomes important for any of the topics – that is, as soon as the focused engagement intensifies to the point of becoming a negotiation – it will be time to form a subsidiary body and select a chair. What exactly will the programme of work say? The programme would allocate specified periods of time (perhaps a week) for dealing with each of the four core issues in plenary and, if necessary a further, single week for covering the three other subjects. This pattern would be repeated until either the list of speakers on an issue dwindled to the point that the plenary sessions devoted to that subject could be re-allocated or agreement was reached on forming a subsidiary body for that topic. Such a programme, to repeat, would not prescribe mandates but, based on Rule 19, would utilize plenary meetings in accordance with a “schedule” – see Rule 20 – agreed upon by members. Mandates may be useful in encapsulating agreement on organizational aspects, e.g., the need for a subsidiary body to report to plenary. But, as the CD has seen, mandates have their limitations in ring-fencing matters of substance. The question is one of support. Success in pursuing an issue, say inclusion of pre-existing stocks in a fissile material negotiation, will depend on the level of support secured by the proponent (which, in fact, is already plentiful). Success in achieving coverage of pre-existing stocks in the final product of the negotiation will depend, likewise, on sustaining support sufficiently to be treated as a factor in the final compromise. And, if in the end the proponent finds itself isolated, no government can be forced to sign or become bound by a treaty, which it considers prejudicial to its essential security interests. Fifteen years after the birth of the “Shannon Mandate”, fissile material negotiations remain rooted to the spot, defying the UN General Assembly which adopted without opposition Resolution A/RES/64/29 of 2 December last year, urging the Conference on Disarmament “to agree early in 2010 on a programme of work that includes the immediate commencement of negotiations on a treaty banning the production of fissile material for nuclear weapons or other nuclear explosive devices”. If the simpler, disaggregated approach to agreeing a work programme outlined earlier does not appeal, maybe an even simpler, disaggregated approach outside the CD will emerge, one in which outcomes are achieved through engagement on substance, not blocked by procedure. 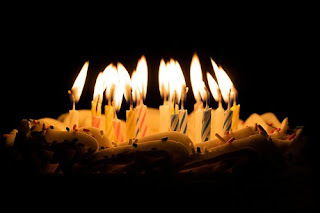 Photo Credit: "Day #12 Birthday Cake" by allieee on Flickr. be discussed, or even negotiated, in the plenary —by those who want to. feel a growing interest to participate."